Are you hitting the links this weekend? Let us know what your favorite golf course is in Michigan! Circa 1900. “Golf links at Charlevoix, Michigan.” Mind if we play through? 8×10 inch dry plate glass negative, Detroit Publishing Company. 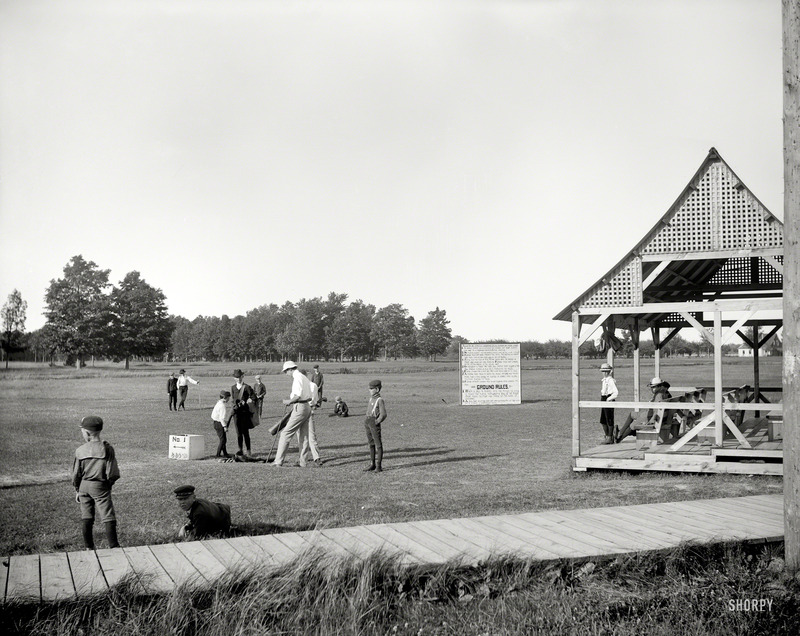 This entry was posted in Detroit, Shorpy Saturday and tagged 1900, boardwalk, charlevoix, detroit publishing company, golf, lake, Michigan, shorpy, summer, swimming, tee, trees, water, wood. Bookmark the permalink.